Now that I am seriously committed to the path of eating right, living healthier and loosing weight, it's more important than ever to have all the help I can get. It's hard enough to simply "diet", but when you diet in my opinion that is a temporary thing, that you know will be over in the semi near future. You use that knowledge to carry you through all the cravings for you know that soon you will be eating those foods again. I actually think that dieting is 90% mental. You over think think about the foods you miss and it makes you want to quit, or you will yourself through with the hope of soon being done, but either way, it's your brain that controls it. That is what makes eating healthier for life so much harder. You get that voice in your head telling you all the things that you will NEVER have again, and it really seems impossible. The key(in my humble opinion) is to find foods that are just as good or better, but also healthier, than the ones you usually crave. That sounds impossible, right. Healthy food is not delicious, or at least not as good as junk food, right? WRONG. I have worked very hard to find foods that are indulgent yet guilt free. I have found a few, the most impressive of which would probably have to be Diana's Bananas Banana Babies. Diana's Banana Babies come in 3 wonderful varieties: Milk Chocolate, Dark Chocolate, and Milk Chocolate with Peanuts. I am watching my fat and calorie intake, so I opted for the ones without peanuts. These are so good. 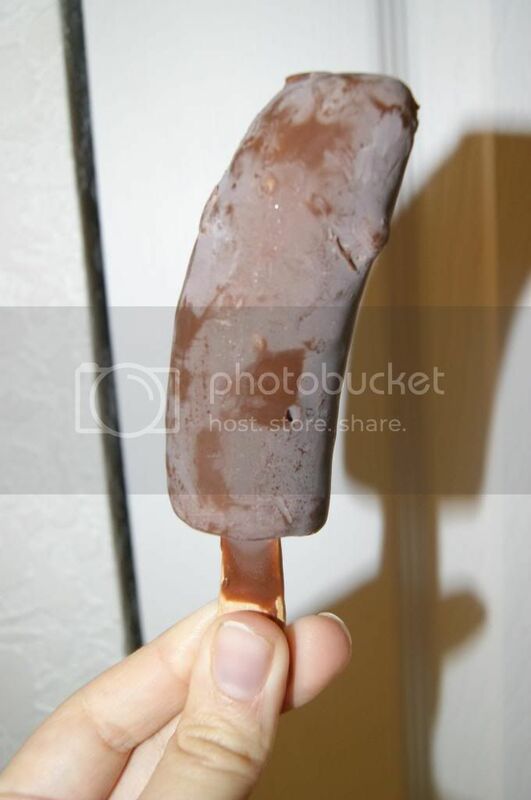 Half an All Natural, Fresh Frozen Banana coated in super thick, Dairy Free, Dark Chocolate. Dark chocolate is actually very good for you. In addition to being indulgent and actually physically relaxing, Dark chocolate also helps control Blood sugar, Increases Blood flow to the brain and helps lower blood pressure. It is also full of antioxidants and vitamins and minerals such as Potassuim, Iron and Magnesium. When you add in the fact that Bananas are also loaded with Potassium, and tons of other super nutrients to increase brain power and energy, and you have the perfect pair. And for 130 calories and 6g of fat, it's even more amazing. 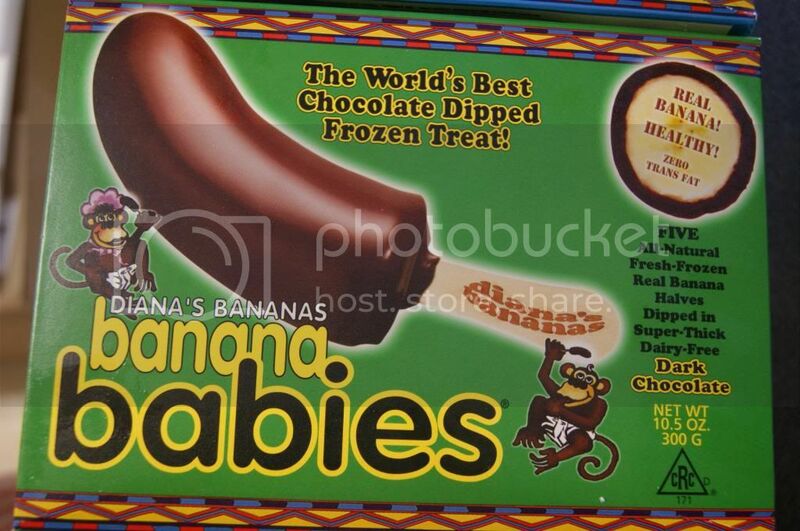 Chocolate an banana go together so well, but never have you tasted them like this before. 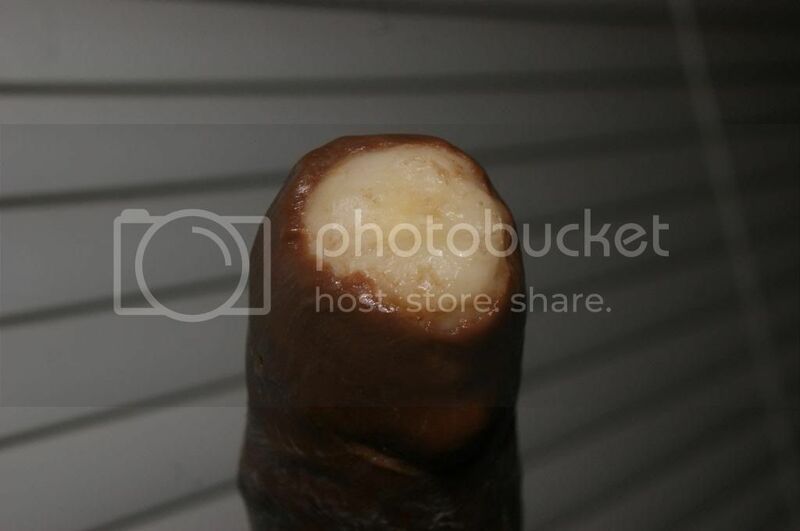 The flash freezing process gives the banana a super unique, creamy texture that is actually comparable to Ice Cream. The Dark chocolate is so deep and flavorful, smooth and rich, it melts in your mouth for a decadent indulgence. Any dark chocolate lover would be in heaven. It is beyond good. And I am not even that huge a fan of dark chocolate. This is probably the best dark chocolate I have ever tasted. As much as I love the Dark Chocolate ones, I am a milk chocolate kind of girl, so these are my favorite. They are so sinfully good. I could not believe that they are only 130 calories and 6g of fat. This is the creamiest, sweetest, most luscious chocolate I have ever tasted. The way it pairs with the banana is to die for. So much better than ice cream. And the slightly denser texture is not only more satisfying, but also MUCH more filling. This is just as good(in not BETTER) as any dessert I would eat(even super fattening ones), if not better, and oh so much better for me. It's not all about what it doesn't have(zero trans fat, lower calorie and fat content, no fake chocolate flavored junk). You can find low fat/calorie desserts, but it's much much harder to find one that also gives you vitamins, nutrients and energy, naturally. This is like the ultimate weight friendly dessert or even snack. I have eaten one the past 4 nights in a row for dessert, and I look forward to it all day. I could never get tired of these. What I love the most about these scrumptious treats is that they are super kid friendly too. Getting kids to eat healthy food is almost always hard. In my case it is amplified 10 fold. 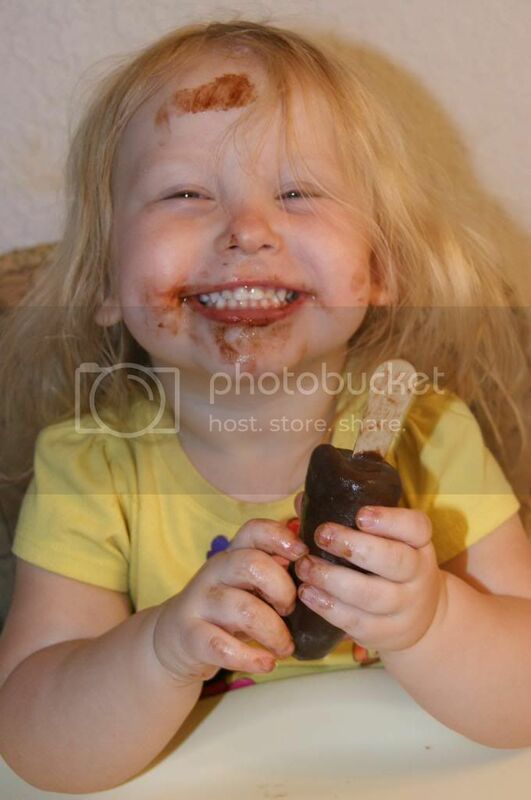 My daughter will usually eat pretty much anything. The trouble is that she wants to have what everyone else is eating. 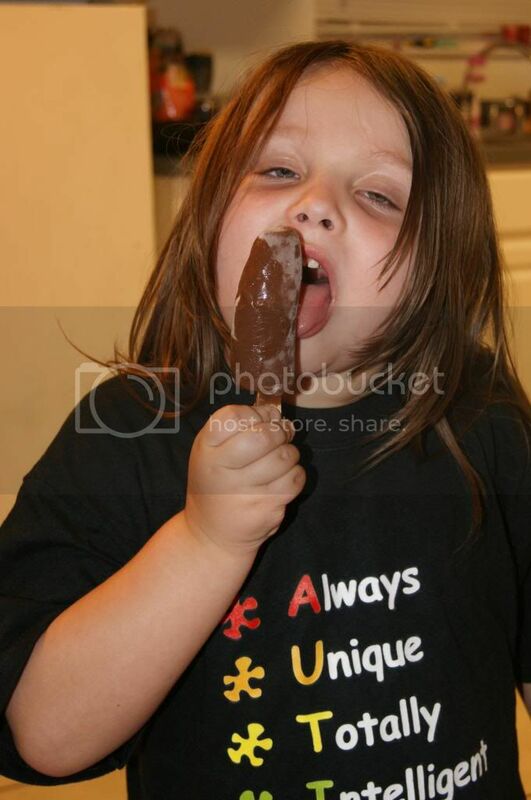 And the person she sees eating most often is her brother(whom she imitates to the T). Her brother is Autistic, so for him, eating healthy just doesn't happen. Texture, shape whatever it may be, he is mortified at just the sight of pretty much any food besides his set few choices(maybe about 10 things total). He eats Chips, cookies, Bacon, Chicken nuggets(any friend chicken), French fries(only certain kinds), bread/rolls, goldfish, chocolate and fruit snacks. That is basically it. try to offer him anything else and he gets so scared and upset that he almost throws up. He does, on occasion also try popsicles or ice cream bars, but not always. I knew he would love the Banana Babies if only he would try them, but that is the hard part. I am not sure if it was the super cute packaging, the fact that he could read it and the cute name, or the shape and the chocolate on the outside, but he actually ASKED for one when he saw the box. I was so excited I almost cried. And not only did he lick it, but he kept eating it, which is practically a miracle, literally. My daughter wanted one too(of course after seeing her brother with it), and he ended up saying, "Now it's your turn" and giving it to her before getting to the banana, so it was only a partial victory. But is was so cute to see him share and such a sense of accomplishment that he tried it. The most amazing part is that he asked for another one the next day. I am so overjoyed. This might be a very small step, but it is progress and I am so proud of him and so thankful that Banana Babies has been able to expand his horizons a little. The second time he ate a little more before stopping, so he is getting better. I also think part of the reason he doesn't finish them(yet) is because he is busy trying to play and do other stuff, and does not want to hold it so long. As I mentioned, my daughter wanted to dive right in, and boy did she ever. 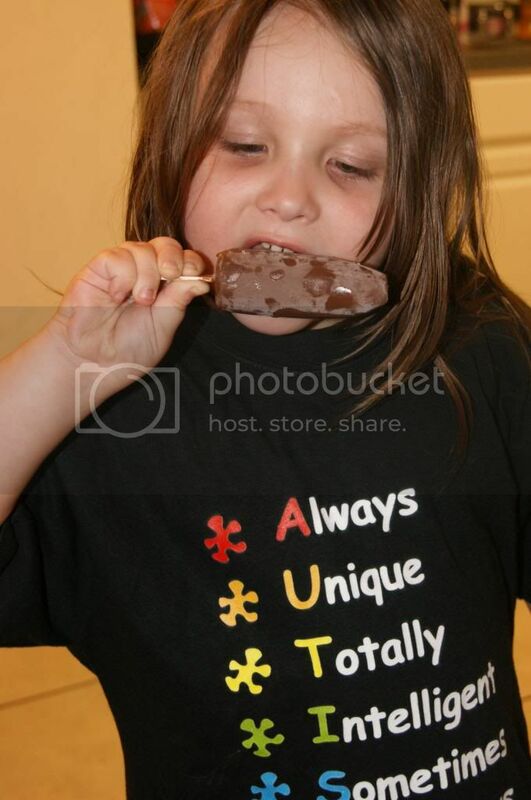 As you can see, she didn't even bother holding it by the stick or trying to stay clean. Although it did not all end up in her belly, she certainly wasn't going to share. By the time she was done it was all in her hair and everything. 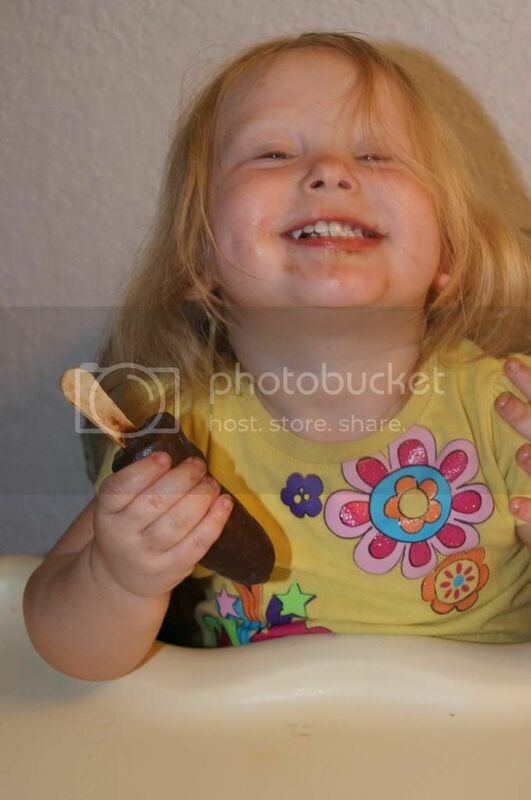 It looked like a choco-banana bomb exploded on her. She loves them. The only problem now is that I can't open the freezer when she is around(which is always) because she sees the box and starts screaming Yeah! Yeah! (her favorite word and one of only about 4 that she says) meaning she wants one. Even my Super picky hubby loves Banana Babies. My hubby is a chocolate addict. He can(and often does) eat a whole family sized bag of chocolates in one sitting(after a big dinner). 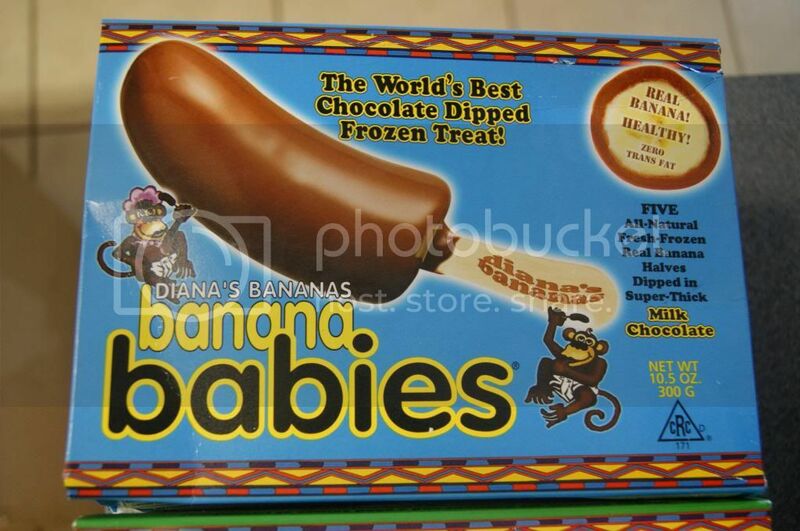 Thankfully Diana's Bananas also has Full Size(whole) chocolate covered bananas too, because he ate 3 of the Babies the other night like it was nothing. 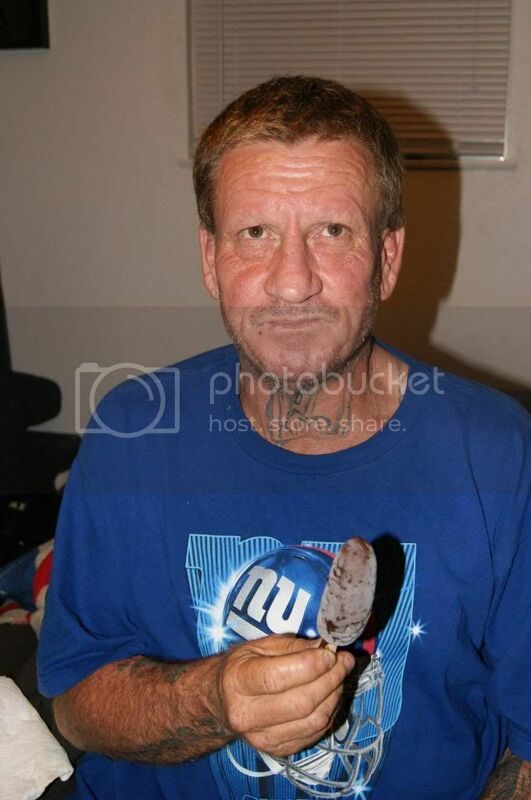 Al least this was the bulk what he consumed was banana rather just chocolate like he normally would. I feel so good about eating Diana's Bananas and feeding them to my family. All the flavor, plus a side of nutrition, hold the guilt. These are PERFECT! Yummy for the tummy!! And your little girl looks as if she enjoyed them!! They look really really good!! Unfortunately I am allergic to bananas of all things!! But I really really want one of these!! Those look great! Like Miki I am also allergic to bananas which is a real shame because I used to love them. What a great review, loved the pictures. I have been wanting to try these. Such happy eaters, seems like Daddy is the only one not smiling eh? Beautiful kids! awww, awesome family eating banana popsicles. i'm sure they taste good! Awesome! I can't believe your son took them! I know he's very picky! YAY! Seems it made kids pretty happy! Awww..your little girl is sooo cute! Haven't tried one of those yet. What a fantastic review, thank you so much for giving us a try and for all the kind words! The pictures say it all! We are so proud to be a part of your family's journey and healthy lifestyle, thank you for letting us in and for sharing your story!